NOTE - I have listed the gear and settings I use in most cases, for reference, but note that the tones may not exactly match your rig, depending on which amp you use, your guitar, and pickups, and fingers :) I am not a Gilmour/Pink Floyd gear expert, so your results may vary. Video and audio clips of me playing various solos for tone, gear, and learning reference. Most of these feature one of the many Electro Harmonix Big Muffs or clones of this famous distortion box, “The Tone from Heaven”. I have owned or played just about every version of the Big Muff. I don't play solos completely note-for-note, but close enough. All are played through a '65 Fender Twin Reverb reissue. Most of the backing tracks are from Gilmourish.com. 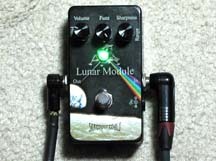 CASTELLORIZATION from On An Island / David Gilmour - Example of the Green Sovtek Big Muff tone. COMFORTABLY NUMB Solo #1 from The Wall / Pink Floyd - Hear the SSL5 bridge pup make that Electric Mistress sing! Am Standard Strat with Seymour Duncan SSL-5 bridge pickup, Skreddy Pink Flesh Big Muff clone distortion, EH Deluxe Electric Mistress flanger, TC Electonic Nova delay, into a Fender Twin Reverb. Backing track by Jani Ovasaka, taken from www.gilmourish.com. Comfortably Numb Solo #1 Jam - A bit of jamming to the CN chords. COMFORTABLY NUMB Solo #2 from The Wall / Pink Floyd - Various Big Muff demos. Backing track by Jani Ovasaka, taken from www.gilmourish.com. Comfortably Numb Solo #2 with Pink Flesh - Seymour Duncan SSL-5 bridge pickup, Keeley compressor, Skreddy Pink Flesh Big Muff clone distortion, Boss CE5 Chorus, TC Electonic Nova delay, into a Fender Twin Reverb. MOTHER solo from The Wall / Pink Floyd - Good example of The Wall Big Muff tones. Signal chain: Am Std Fender Strat w/Seymour Duncan SSL5 bridge pup > Ram's Head Big Muff > BK Butler Tube Driver (12AU7 tube or 12AX7 as noted below) sampled with both a clean (#1) and a brighter (#2) setting > Boss CE-2 Chorus (MIJ) or Deluxe Electric Mistress flanger, as noted below. Played into a '65 Fender Twin Reverb RI. ON AN ISLAND solos from On An Island / David Gilmour - Example of the Green Sovtek Big Muff tone. ON THE TURNING AWAY solo from A Momentary Lapse of Reason / Pink Floyd - Example of the Pink Flesh Big Muff clone. 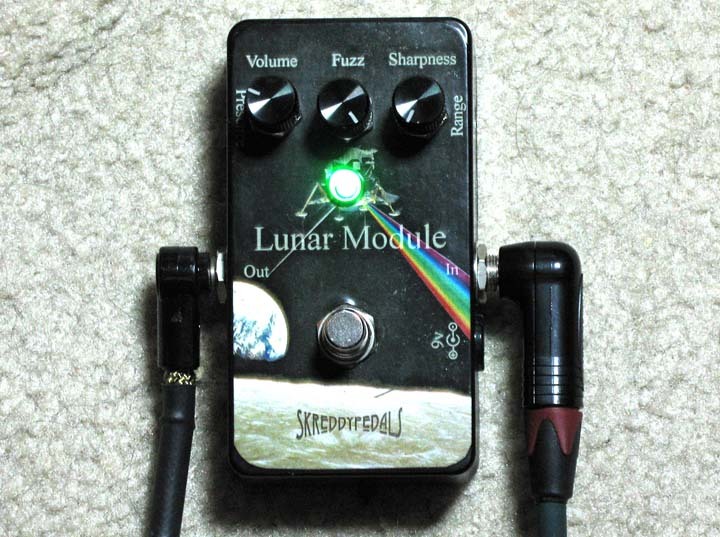 TIME SOLO from The Dark Side of the Moon / Pink Floyd - Example of the Skreddy pedals Lunar Module fuzz pedal, which nails the DSOTM Fuzzface tone very well.